Australian Women’s Cricket Team captain visits flood-impacted families for a day of fun and bowls them over. The Townsville community was treated to a visit by women’s national cricket captain Meg Lanning yesterday as part of a family day to provide some reprieve for those affected by the recent Queensland floods. Lanning, who holds the record for the most career centuries in Women’s One Day Internationals, offered a number of valuble pointers to the kids who attended, during coaching sessions, just in time for the end of the cricket season. “It’s been awesome to visit Townsville after the floods and meet some of the community who are showing great determination in the face of adversity. I especially enjoyed spending time with the kids, giving them some pointers and just having a good time and a laugh,” said Lanning. 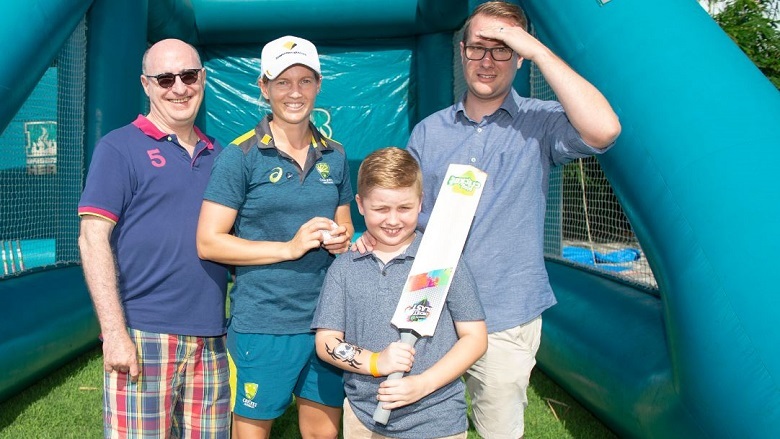 Kerry McGowan, CBA’s General Manager of Regional and Agribusiness Banking Queensland and Australian cricket star Meg Lanning joined the local community at the family day in Townsville, Queensland. 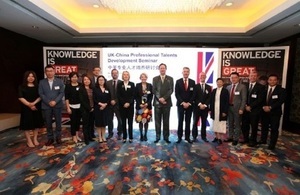 The family day, attended by a number of CBA business customers and their families and friends, was an opportunity for the community to connect and have some fun. Adults took the chance to relax, while the kids were enjoying the face-painting, playing giant Jenga and dancing to live music. Customers affected by natural disasters are encouraged to discuss their individual circumstances by speaking with their Relationship Manager or visiting their nearest Commonwealth Bank branch. Information about support available can be found at www.commbank.com.au/emergencyassistance.